Today’s business challenges present a new wave of HR, talent and organization priorities. 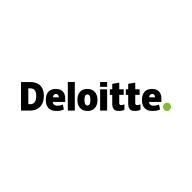 Deloitte’s Human Capital services leverage research, analytics and industry insights to help improve our clients’ organizational results and impact by focusing on challenges at the intersection of business and people. M&A; Transaction Services: Perform Human Capital (some or all of Compensation, Benefits, HR Communications, Operations and Technology, Talent and Culture) due diligence identifying and quantifying transaction risks and opportunities. Our focus includes not only the traditional financial risks associated with compensation and benefit programs, but also the deal risks associated with HR operations and technology, organizational culture, and broad labor and talent. Lead and deliver large, complex client engagements that identify, design, and implement M&A; services for large companies or can lead small engagements or components of large, complex engagements. The Workforce Transformation practice delivers solutions to help our clients transform their workforces and workplaces for business success in this era of technology disruption. We deliver solutions to enable our clients’ success in creating the very best workforce to achieve their business aspirations - providing end-to-end workforce lifecycle solutions.